This blog is on hiatus while Rachel is busy researching and writing new projects. Feel free to browse through the archives! Yesterday I received wonderful news from IndieBound, a community-oriented movement begun by the independent bookseller members of the American Booksellers Association. Every month, IndieBound releases a list of recommended books called the Indie Next List. These are all new novels and memoirs that independent booksellers have fallen in love with and decided to promote, both within their individual stores and collectively as an organization. I know from many years buying and reading books that the booksellers in independent bookstores are serious readers who champion great stories that are well told. They also love to discover the next literary gem and hand-sell it to avid readers. I’ve known about IndieBound, and the importance of personal recommendations by booksellers, for a long time. But until the pre-publication journey I found myself on after selling my next book, The Story of Beautiful Girl, to Grand Central Publishing, I thought that booksellers fell in love with new books because they, like me, read reviews, heard interviews, and happened to open up an eye-catching hardback in their bookstore. Certainly when I worked for Barnes & Noble in the late 1990s, running events at the stores in Princeton, NJ and Willow Grove, PA, that was how I found books. Only when Grand Central, while preparing for the May 4, 2011 release of my book, sent me on a pre-sale tour for The Story of Beautiful Girl (click here for the first post of that tour), did I begin to understand that booksellers can be introduced to upcoming titles in a more deliberate way. Indeed, one of the goals of the pre-sale tour, I began to see, was that booksellers not just receive an advanced reading copy of my book, but, by having the deadline of a sumptuous dinner in a fine restaurant with book-loving friends, a trustworthy sales rep, and an author who’s passionate about her novel, be prompted to crack the spine and start the first chapter. And then, the theory went, they would get so engrossed by the book that they would zip right through, finish in a state of rapture, become huge supporters well before publication, talk it up among staff and customers – and spread the word to their colleagues in IndieBound. And voila! It seems that has all happened! Though the pre-sale tour wrapped up a month ago (well, with one exception, which I’ll get to in a moment), it has begun to bear fruit! I know this because the May 2011 Indie Next List has just been announced, and The Story of Beautiful Girl is not only on the list, but it’s Number One on the list. This means it’s been given the independent booksellers’ seal of approval. I’m told it also means that many others in the book industry and media might take closer note of the book – again, even before publication. And I’m packing my bags, getting ready for one more leg of the pre-sale tour – this time in Toronto! I won’t be leaving for a few weeks, and it will be a very quick trip. But I’ll write about it here when I return, after meeting and dining with more booksellers. And thrilling in the opportunity to talk about books with people who still fall in love with books, and who’ll do all they can to keep the world reading. “The Story of Beautiful Girl is a rewarding book to have read. Rachel Simon is an incredible storyteller, and she puts her gifts to use here. It is a great read on multiple levels: as a story well told, which independent of anything else is the most important part of any great book. It also is an accurate and unsparing look at the attitudes and practices of the time and place it portrays. And that, I think, is its greatest accomplishment. It is an honest look at the past, an accomplishment which is all too rare today. “The Story Of Beautiful Girl introduces us to characters a reader can love and cheer for. Lynnie and Homan are two young lovers who meet at an institution for the disabled. As they plot their escape from the facility, their devotion to each other becomes insurmountable. Lynnie secretly gives birth to a little girl, Julia, and leaves her with a retired schoolteacher, Martha. For the rest of her life, Martha raises for Julia as though she were her own child. With Martha’s respect and devotion, this novel restored my faith in humankind. Filled with many interesting points for discussion, Simon’s tale makes for a great book group selection. The pile of mail that awaited me upon my return home two weeks ago has been opened. Mostly. The phone messages that were left while I was all over the country have been answered. Pretty much. The Himalayan mountain range of electronic communication that grew steeper and higher and farther until it touched the deepest blue of the sky and extended well beyond the known world has been assessed. Hiking expeditions have even gone up the first few summits. Though there are many to go, and already, more mountains are forming. All of this is happening while my sweet, quiet routine, with husband Hal and kitty Zeebee and long work-outs and mugs of tea and a hardback novel in my rocking chair and a spiral notebook in the library – all of which rose tantalizingly in my mind while I was flying from city to city – still await my return. This is not what people expect to hear. They expect that, having dispatched with my on-the-road commitment to my publisher, I’ve flung off the adrenalin, sense of purpose, extroversion, and list of commitments I needed on the road and simply pulled my regular life back on, as if I were changing from a tailored suit and too-tight pumps to comfy khakis and a much-worn sweater. But The Story of Beautiful Girl is my sixth book, and, having held other writers’ hands for the twenty-three years I’ve been in the business, I know that the whole year leading up to a book’s release is critical. The writing and editing might be done, and the publisher – in the best of worlds – might be sending out advanced reading copies to reviewers and interviewers, figuring out a marketing strategy, and encouraging bookstores to place their orders. So to the uninformed it would seem that the writer’s work is behind her. However, the publisher – in the best of worlds – can accomplish its goals all the more readily if the writer is a full member of the team, since, among other things, the writer might have contacts in niche markets, or creative ideas for how to reach readers. In the case of The Story of Beautiful Girl, and as those of you who’ve been following this blog know, my passionate efforts during this pre-publication phase of my novel aren’t simply because I’m the author of this book. They’re also because this is a novel that takes readers deeply into the hearts and minds of two adults with disabilities, like my sister Beth and her boyfriend Jesse, or like the thousands of individuals I’ve met through my talks for my memoir, Riding The Bus With My Sister. It’s also a novel about the moral conflict and selfless devotion of a direct support professional who provides support for the character of Beautiful Girl, like staff people who’ve worked with my sister and others I know. And it’s about a childless, elderly widow whose life suddenly changes when a newborn baby is left in her care. (She is not like anyone I know, though I’ve had some early readers say, “I wish that would happen in my life.”) So despite being fiction, this book is intertwined with many people who mean a lot to me. And I feel I owe it to them to do all I can to generate an audience for this book. So in the interest of assisting my publisher further – while not spending my usual five hours writing a long, detailed, here’s-everything-that’s going-on blog, thereby freeing me up to keep scaling those endless, snow-capped electronic summits, not to mention doing my hospice volunteering, seeing my sister, and visiting friends in need, such as a wheelchair using writer who just had a terrible accident and is now recovering in a rehab hospital – I’m devoting this post to a few book updates, and one very personal thrill. BJs, the wholesale club, has a book club, and they just announced that The Story of Beautiful Girl will be their May selection. Publisher’s Weekly, the influential trade journal, has given the book a glowing review. Please note that this review comes with a Spoiler Alert, so read at your own peril by clicking here. ANCOR is a trade association advocating on behalf of 800 private providers of services for 500,000 Americans with disabilities that employ over 400,000 direct support staff in almost every state in the country. To help me spread the word about The Story of Beautiful Girl, they’ve posted an informative page on their website devoted to my book. If you’d like to support ANCOR, please order your book through their site. I have had many discussions with organizations that will be hosting me at upcoming talks, and then I’ve updated the Appearance page on my website accordingly. The current page reflects only what’s been finalized as of today. I expect to add many more events as the time of publication nears. My publisher has been busy too. Mostly this is with things I don’t know or feel the need to ask about. But one thing I do know about, and adore, are four terrific animated ads they’ve created. One of these ads, the one with the white background, hints at the plot; the others include endorsements from some of the booksellers I met and dined with during the pre-sale tour, as well as the wonderful writer John Grogan, author of Marley and Me and The Longest Trip Home. These ads, which have been posted in in several places online, have continued the publisher’s mission of building pre-publication excitement about the book. 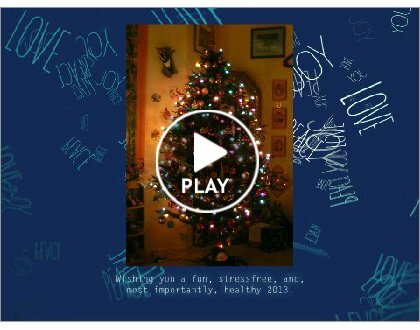 To view these ads in their animated form, just click on one and wait a moment for the animation to begin. You can also add them to your own website by right-clicking on an animated ad to download the file to your computer, then opening it using Quick Time, and following the same procedure you would when adding a regular image. But my life hasn’t been just about The Story of Beautiful Girl and seeing friends and others in need. Despite my not being able to return to a contemplative routine, I have celebrated a momentous occasion with my husband Hal: the debut musical performance of the trio he plays in, Puddles In A Gondola. On February 13th, Hal and his two fine musician friends, bass player Matt Stein and violinist June Bender, played two improvisational pieces at the Highwire Gallery, an art gallery in the Philadelphia neighborhood known as Fishtown. The best response I can give is that, although Hal, Matt, and June all have training in classical music and although their tastes run from jazz standards to English folk, the music they played that night was a blend of many elements that add up to something avant-garde. As you can see in the photos below, in addition to Hal’s guitar, he played an electronic bassoon. He also used electronic looping throughout the performance. Matt and June each stayed acoustic, but added toy instruments (yes, like Fisher-Price), selecting such things as plastic saxophones and flutes at random. The audience was small but spirits were high. And everyone – especially the guitarist’s wife, who was tired from climbing but invigorated by loving – had a fabulous time. “Do you know anything about where you’re going?” asked my cab driver. It was Thursday night, and we were on the highway from the airport into Denver for what would be the final stop of my pre-sale tour for my novel, The Story of Beautiful Girl. It hadn’t occurred to me that the hotel in which my publisher had made a two-night reservation would be any more notable than most of the places where I’d stayed over the last two weeks. With the exception of the Radisson in Lansing – a perfectly acceptable, if ordinary, contemporary highrise – Grand Central Publishing had set me up in classy, older hotels rich in atmosphere and character, yet which had every modern amenity and impeccable customer service. They were all charming, comfortable, and luxurious, but not the sort of places that inspire cab drivers to call them to your attention. Though I will admit that the name “Brown Palace” had given me pause when I’d skimmed my most recent print-out for my finale of a destination on this trip. Was it truly brown? That seemed unlikely. Was it palace-esque – or, I corrected myself, palatial, an adjective I’ve adored since I was a kid but seldom had the opportunity to use? “I guess I don’t,” I said. “Well, you’re in for an incredible experience,” my driver said. Then he told me that the Brown Palace, a grand Victorian building with a celebrated history, had been in continuous operation since 1892, and was considered the most desirable hotel in town. It had housed presidents from FDR to Bill Clinton, actors from Lionel Barrymore to John Wayne, and celebrities like…the Beatles. Ding! The magic words. Anyone who knows me in the slightest knows that the Beatles are pretty much at the top of my pantheon of artists. I’ve been highly inspired creatively by studying their songwriting. I’ve gone to Liverpool to take a Beatles tour – twice – with the second time being on my honeymoon. Even my vocabulary has been influenced by them. The word “palatial,” for instance, entered my consciousness when I heard John Lennon use it in A Hard Day’s Night, a movie I first saw when I was five, memorized while in boarding school, and can still recite, line by line. In fact, I’d wondered, before I left for this pre-sale tour, if I’d end up feeling like the character of Paul’s grandfather, who’s forced to accompany the Beatles on a tour. Late in the movie, the grandfather grumbles, “I thought I was supposed to be getting a change of scenery. But so far, I’ve been in a train and a room, and a car and a room, and a room and a room.” In the two weeks of my tour, however, I hadn’t felt remotely inclined to grumble. I’d enjoyed – and had memorable experiences in – just about every train (or plane) and room and car and room and room and room. I laughed back, suddenly knowing that if I said something like, “Ah, but what? They don’t take kindly to insults, you know,” he would know. Although I had every reason to be exhausted – it was 9:00 pm Denver time, which meant 11:00 pm Lansing time – when Jerry and I shook hands goodbye and I said hello to the uniformed doorman, I sprang up the steps and through the revolving doors of the Brown Palace, and burst into the lobby. But it wasn’t just any lobby. It was an enormous atrium that stretched out elegantly before me, with formally set tables and a grand piano, and as I stepped within, I saw that it rose up many stories. The lower ones were defined by restaurants, pillars, archways, and a sweeping main staircase, and the upper ones by ornate cast iron balconies, with staircases, each having its own intricate iron banister, set in one corner. The whole thing – which a brochure told me was in the Italian Renaissance Style – culminated in a story of glass block and then a glorious stained glass ceiling. It reminded me of the most upper class spaces on the Titanic, or at least the ones I saw in the 1997 movie. I was later to learn that, although this was a coincidence, there is a very real connection between the Titanic and the Brown Palace. Right after that famed ocean liner sank in the Atlantic, one of its most renowned survivors, Margaret “Molly” Brown, checked herself into the Brown Palace. She owned a fashionable house several blocks away, but lived in the hotel from time to time for the next few decades. Some people even mistakenly think the Brown Palace was named in honor of her, but its name comes from the unrelated carpenter and architect who built it, Henry Brown. Nonetheless, as I stood there, watching a tuxedoed pianist perform jazz standards and well-heeled patrons clink champagne flutes, the sense of history, fate, fame, and perseverance overwhelmed me. And I remembered that, when I’d told my friend and fellow Beatles fan Scott about the pre-sale tour, he’d brought up a little anecdote from Beatles lore. When the Beatles were in the early years of their career, feeling worn down from performing in lousy clubs with dilapidated dressing rooms, dispirited about whether they’d ever break through as a band, John would try to lift the mood. He’d say, “’Where are we going, fellas?” And they’d say, “To the top, Johnny!” He’d say, “Where’s that, fellas?” And they’d say, “To the toppermost of the poppermost!” And everyone’s spirits would lift. Standing there, in the Brown Palace atrium, I wondered if, when the Beatles stood in this same spot, they’d felt they’d reached the poppermost at last. I couldn’t bring myself to go to sleep for a long time. The hotel was filled with details that made me keep walking around. Old rotary phones sat on corridor tables. Art deco murals depicting early 20th century modes of travel decorated the walls. The elevators had the old arrows above the doors, pointing to the floor the car was currently on. It was lovely in a timeless way, though after I’d eaten a very late dinner in my room, I was reminded that resplendent settings are no guarantee of happiness: around midnight, a woman began weeping on the other side of my wall. I felt sad for whatever was causing her distress, and after she continued her soft crying for a half hour, an hour, an hour and a half, I wondered if I should go next door to see if she needed help. Then it occurred to me I was staying in the kind of place that almost certainly had a reputation for ghosts, and although I’ve never been a definitive believer in the hauntings of restless spirits, I began to wonder if the unhappiness of the woman next door had been going on for a century. This didn’t mean I felt any less sad for her. If anything, I felt more. I got into bed and turned out the lights and fell asleep as I listened to her cry. In the morning, I woke to aroma of coffee and the sounds of life in the atrium. I shook off any thoughts of ghosts, took the staircases down to get some tea, and hurried to my room to get ready for my first commitment of the day. As in just about all the other cities I’d visited, I’d arranged to meet with people from the local disability community so I could learn about how things worked, and didn’t work, in Colorado, and so I could talk to them about The Story of Beautiful Girl. So 10:00 am., I ran back downstairs. There I met with several people. Chris, Steve, and Char worked for service providers, and had spent their long careers trying to help individuals live better lives in the community. Victoria, a self-advocate and terrific artist, was hoping to start a business for other artists with disabilities so they could all earn money from their creations. Kristen, a sibling, had just started her own business in employment development for people with disabilities. As we sat for two hours in a side lobby, and I learned how each person was contributing in his or her own way to improving the lives of people with disabilities, I thought fleetingly about my weeping neighbor last night. Was she inconsolable because she didn’t know anyone like those who were sitting before me: people who had committed their lives to doing well by people in need of a helping hand? Folks like Chris, Steve, Char, Victoria, and Kristen have always been with us – in fact, Kristen told me, when we got a few minutes alone, that the unsinkable Molly Brown had been a human rights advocate for destitute children. If the crying woman last night was flesh and blood, she might still meet her Victoria or Kristen. If she was a spirit – which I doubted, but hadn’t dismissed – I could only hope she’d somehow find whatever she apparently needed. After we parted company, and I realized I had only a few hours left before I needed to get ready for my dinner, I threw on my coat and went outside, a walking map in my hand. I had entirely too many options; among other things, Denver has a famed new art museum, designed by the starchitect Daniel Libeskind, and since I’d managed to visit the Seattle Public Library while on the pre-sale tour last week, a jaunt into the museum would be an excellent bookend to my trip. But I had more important things to do. I got onto Broadway, and turned left. Then I found my way to the church that my cab driver, Jerry, had told me about, Holy Ghost Catholic Church. I am Jewish, and not religious. When pressed on my beliefs, I call myself an ambivalist. But I still feel the holiness of certain places, and I knew, from his description, that I needed to visit that church. It was, as Jerry said, unexceptional on the outside. The first door I walked up to, on the side, wasn’t even marked. But I pulled and it opened. And I walked directly inside the church. In the large, dark, sweetly-smelling room, I stood among the wooden pews. Travertine marble was indeed everywhere: columns, piers, and, perhaps most incredibly, walls. Unlike the plaster or drywall in most churches, these walls shimmered with soft, reflected light – from the candles that were burning in the front, the lanterns that were hanging from the ceiling, the sun that streamed through the stained glass windows. An enormous pipe organ sat silent in the back. I looked around, not wanting to interrupt or startle anyone. No one was there but me. I walked around, taking in the marble, which was stunning indeed. And then I walked up to the candles, and thought, If I were a praying person, who would I pray for now? And the answers came easily. One of my sister’s favorite bus drivers. The patient I visit in hospice. The woman on the other side of my hotel wall. Feel loved, I thought for all of them. May God, or those around you, take you in their arms, and shower you with love. Back outside, a tourist once again, I made my way through the city to my other destination. On the way I encountered the State Capitol, and longed to go inside, especially after visiting the one in Lansing. I also took a wrong turn and ended up at the art museum after all, and it called to me like a siren. But instead I backtracked and wound through the grid of streets until I got to the one other place I really wanted to see: the house of Molly Brown. I’d arrived too late to take the tour, but I was able to watch a film of her life. She wasn’t Molly, but Margaret, and she’d come from an immigrant family in Missouri, married a man who struck it rich in the Gold Rush, and spent much of her life helping those in need, including miners and orphans. She opened a soup kitchen. She raised funds to build hospitals and churches. She was a suffragette. The Titanic was only one episode in a fabulously storied life. If someone had asked her, early in her life, if she knew where she was going, she probably wouldn’t have said to a lifeboat. But she might have said she wanted to give a lifeboat to others, and that, in so many ways, is what she did. I ran back to my hotel. It was just as impressive this time, as a live jazz quartet played in the atrium and patrons enjoyed high tea. And I can’t say I wasn’t just as enchanted as I’d been the night before. But at the same time, I was filled with the pleasure that comes from encountering people who don’t just care about their fellow human being, but care enough to take action. It inspires me to do all the more, and makes me feel that, even if I’ll never be rich enough to stay in a place like this without someone else footing the bill, my decision to write about people like my sister, and Beautiful Girl, is the right thing to do with my life. And then I was showered and dressed and back in the atrium, meeting the next, and last, representative who’d flown out from Grand Central. Jennifer, a publicist, greeted me in a pretty purple dress, and as we sat down and took in the huge space we were in, she told me about the last time she’d been here. It was on another author tour, in the mid-1990s. The author, a famous actress who had published a novel, happened to be a person with a high sensitivity to things that are unseen. When she checked into her room, she called Jennifer immediately. “I don’t think I’ll be able to stay here,” she said. “This place is crawling with ghosts.” She ended up spending the night in Jennifer’s room, having felt too uncomfortable as doors kept opening and closing in her suite. I told Jennifer about my night. And yes, I’d been a little scared, but in truth I’d felt more sympathetic – and hardly as convinced as that other author had been. Soon we were joined by the sales rep, and ordered tea, which was served in the finest of china. Then, while the saxophone player and drummer soloed, we talked about how rare pre-sale tours are. Jennifer said, at Grand Central, a core group of people just have to fall in love with a book – unanimously – and then feel the timing and author are right for a tour. And they all just loved The Story of Beautiful Girl, she said, and I felt grateful and tearful and lucky and moved, feelings that didn’t stop while the sales rep drove us to Strings Café. In fact, the feelings only grew stronger when we were led to our private room in the back, which was, as they’d all been, softly lit, elegantly set, and sheltered from the sounds of other customers. There I showed Jennifer and the sales rep that throughout this trip, I’d been wearing a pin on the lapel of my jackets which I’d hidden with scarves, in case any of the booksellers hadn’t started the book. A gift from my wonderful friend Mitchell, who, upon finishing my book, had searched all across the country to find the pin for me, it had shown up in a wrapped box at my house in Delaware the day before my kick-off event in Washington, DC. I had worn it ever since, revealing it to only a few people, and now, before the booksellers came, I showed Jennifer and the sales rep. It was a red feather, and I can’t say here why it’s important in the book. But I can say that when Jennifer saw it, her eyes pooled, and she said, “I can see it all, that beautiful scene.” And then we weren’t in this fancy restaurant anymore, we were in the story together. Then the booksellers arrived, from Tattered Cover, Boulder Bookstore, Hearthfire Books, and Bookworm of Edwards. This dinner went much as all the others, but what stood out for me was that the booksellers asked many questions. They wanted to know about the spiritual aspects of the book, which some of them had noticed more than others. They wanted to know about my sister Beth. And they wanted to know everything I could tell them about people with developmental disabilities. One of them even asked something along the lines of, “In your ideal picture, what would the world be, and what can we do to get there?” The only answer I could think of amounted to, “Reach out and make a new friend.” This led another bookseller to mention that her store had volunteers with developmental disabilities, and she really liked them. And in some ways, it seemed, at this table, that we could get to an ideal world. Yes, we were here for business. But we were all, it was clear, people who cared, and who wanted to do well by others. We talked and ate and ate and talked. And at some point I realized that no one wanted to leave. I didn’t want to, either. But then we forced ourselves to say goodbye, and after hugs, some of them the tightest I’d given and received at the end of any of these dinners, I returned to the hotel with the sales rep and Jennifer. We bid him goodbye, and then, standing before the elevators, I asked what would happen now that the pre-sales tour was over. Where would things go from here? We got on the elevator, and when we reached my floor, we gave each other the biggest hug of the night. Then, alone, on the final evening of my pre-sale tour, I didn’t go immediately to my room. I was sad that it was ending, and happy about how well it had gone. I was full of admiration for so many people I’d met, and moved beyond measure for so many of the things they’d said to me. I needed to sleep but didn’t want to leave this moment behind. So I walked over to the balcony, and looked out into the atrium. Later, when I would return to my room, I would listen for the woman next door, and hear no crying. I would even look up ghosts in the Brown Palace on my computer, and find that, while there was mention of phone calls placed from unoccupied rooms, apparitions of railroad conductors who walk through walls and a spirit jazz band playing music, and a baby’s cries heard in a boiler room, no one has reported a weeping woman on the fifth floor. Later still, the next morning, I would meet Jerry, my Beatle-loving cab driver, at the curb in front of the Brown Palace, and talk about the Fab Four as he returned me to the airport. He would tell me that the hotel barber, who retired only recently, saved the locks of all the luminaries whose hair he trimmed – which supposedly included the Beatles. And much later still, the next evening, I would land at the Philadelphia Airport, collect my luggage for the final time, walk out to the pick-up island in the humid Northeast evening, and then fall into my husband Hal’s arms, not letting go after our breath had come together, holding on long after we found our familiar, silent song. And then he would take me back to our house and cat and routine. And I would turn the page from this magical trip and get on with the rest of my life. But now I looked up, into the famous glass ceiling, set into place in 1892 and never altered since. And as I gazed into the glass – so much like the glass dome in the Lansing State Capitol I saw a few days ago, the glass artwork in the Seattle Airport I saw a week ago, and the glass bottle display in the Philadelphia Airport at the start of this trip two weeks ago – I imagined I could hear, behind any of these doors, four young men trying to give each other hope. After May 4, when my novel, The Story of Beautiful Girl, comes out, it seems possible that my life will be going somewhere it hasn’t gone before. I don’t know where that will be. I don’t know if it will be the toppermost of the poppermost. Thanks to all the people I’d met throughout this trip – booksellers and self-advocates, sales reps and service providers, editors and siblings, publicists and cab drivers, restless souls and kindred spirits, friends I’ve seen many times before and strangers whose paths crossed serendipitously with mine – I didn’t feel I needed to go to the poppermost. I felt like I was already there. It first arrived over the weekend, as a rumor I didn’t hear. I was on the San Francisco leg of my pre-sale book tour, eating dinner with booksellers, attending a packed town hall meeting, and ocean-gazing with new friends. But the people at Grand Central, my publisher, heard the rumor. At the home office in New York and in the cities remaining on my tour, they crossed their fingers, hoping it was just talk. By Sunday, though, when I was in flight to the Midwest, the rumor had assumed form: on weather maps it revealed itself to be an enormous white wave, rising up from the lower border of Texas, gathering force as it swept north and east across Oklahoma and Missouri, and reaching full power in the very states where my pre-sale tour was taking me – Wisconsin, Illinois, Michigan – before splashing, with diminished ferocity, across the remainder of the country. I didn’t know it then, but the people who were in charge of my pre-sale tour suddenly became amateur meteorologists. Would the storm really be severe enough to lay waste to our plans? No, please, let it not be true. After all, getting a dozen booksellers from different stores to commit to spending three or four house at a specific restaurant on a specific day and time with a sales rep they know and an author they don’t know but whose book they were being encouraged to read—all that is hard enough. But doing it in eight cities, including soon-to-be-snowed-in Lansing, Chicago, and Milwaukee, had taken an extraordinary amount of orchestration. Altering plans would mean skipping whole cities, as there was almost certainly no way to get so many people together again so soon. On the other hand, if they kept the dinners as scheduled, I might spend the meal in an airport chair as snow mountained up on a runway, and as the booksellers waded through hip-high drifts to reach a restaurant that locked its doors for the duration. So they watched the weather, and made calls, and watched more weather, and texted, and watched again. Sunday night was when I first heard, in an email message from someone at Grand Central. She said she looked forward to seeing me in Chicago on Wednesday, unless the snow changed our plans. I had just gotten to my first city in the Midwest, Ann Arbor, and was skimming my email at the kitchen table in my friend Carol’s house. “Snow?” I said out loud. “What snow?” Immediately, her fiancé, Randy, looked up the weather. Sure enough, there was the creeping white monster, along with the direst of warnings. “You might have to cancel part of your trip,” Randy said. “I hope not,” I said, and decided that, until I was told to do so, I would not give it any more thought. But Grand Central did. Monday afternoon, the powers that be convened, pooled their weather warnings, and made their decision: they would cut the Chicago and Milwaukee legs of the trip. I would still go onto the Lansing dinner on Tuesday, but then I would stay in the Radisson Hotel, entertaining myself as the snow fell, until the roads had cleared. When I got the news on Monday, I was, as I mentioned in my last blog, in my editor’s hotel room in Ann Arbor. She’d just flown there from New York to attend dinner with people from Borders corporate headquarters, but she’d have to fly back right after dessert, since the storm was going to hit Michigan on Tuesday. I fully understood the need to cancel, and was relieved to know that I wouldn’t have to battle a blizzard to get to Chicago and Milwaukee. Yet I’d already spent a fabulous week on the road, and was so exhilarated by the meals, book talk, insights I was getting into publishing, walks in the cities, visits with friends, meetings with people in the disability community, and serendipitous encounters with strangers, that I was totally ready to go go go – despite a week of too little sleep, too many carbs, more unanswered email than I’ve ever faced in my life, and a husband back in Delaware I dearly longed to hold. So for a few moments I stood there, letting disappointment eclipse my common sense, asking silly questions like, “Can’t I come back next week?” My editor kindly but firmly said no, this was it, those cities were off the schedule. I’m embarrassed that it took me a good ten minutes to accept this fact – though I know my difficulty was directly connected to the extent of the fun I’d been having. But I’m a big believer in being flexible. So when the new plan finally took root in my mind, I knew it was right and good, and that I’d have a great time no matter what. And I did, right from the start. On Tuesday, as the snow began, shutting down airports, drifting into Milwaukee, stopping traffic on Lake Shore Drive in Chicago, a car arrived at my hotel in Ann Arbor to whisk me down the highway to Lansing. The storm had not yet reached Michigan, but as the driver pulled onto the road and I asked if he was concerned, he said, “No. I grew up in Russia. I am afraid of nothing.” His accent was pronounced, and his confidence – and sense of humor, and lively personality – infectious. At sixty-one, having spent half his life here and half in Russia, Yuri was brimming with stories and jokes and charming asides. It didn’t hurt that he was intrigued by what I do for a living – and I was equally intrigued by him. Nor did it hurt that we’re both Jewish. The drive passed swiftly as we chatted away. I checked in and unpacked in my room, looking out the window. The sun was setting but there was no snow yet. Fortunately, the restaurant was a block away, so I knew I’d get there easily. But I also knew, because the sales rep had told me, that the storm was due to start during the meal, and in fact this had prompted a few booksellers, those who worked as far away as Grand Rapids, to cancel. I stared down into my suitcase. Of course I’d brought no boots, just sneakers and a little pair of flat, black shoes. But I forgot about all this when I got to Troppo, the restaurant. Again, the meal was set up in a private room. Again, there was a special menu. Again, the sales rep was outgoing, welcoming, and completely likeable. (I’d met him before; he was at the first author dinner I’d attended, two weeks before, at the kick-off event for the pre-sale tour, held in Washington, DC.) And incredibly, he told me that very few of the booksellers had canceled, and he’d been able to find replacements for those who had. His bonds with his accounts were just so solid, and the booksellers so trusting of his recommendations and enthusiasm, they stayed committed to the dinner, even knowing that the storm would arrive during our entrees. The booksellers arrived, from Schuler Books, Partners, and Emery Pratt. They all knew each other – in fact, two were engaged to each other, and two were a mother and daughter. They clearly enjoyed being together, so the room was quickly full of conversation and laughter. A few of them were also writers – one was even working on a novel. After I talked about The Story of Beautiful Girl, the discussion moved in a different direction than at the other meals. They asked me about the writing process – and then about the editing process. Almost no one asks about that, even though it’s such a significant step in the journey from manuscript to book. They listened with great interest. When the trays of dessert arrived – large, sumptuous servings of treats so enticing they barely seemed real – everyone dug in. (Well, almost everyone; I don’t eat sweets, and another bookseller had a similar limitation.) Then dinner transformed into something that felt like a party. We shifted from a table-wide conversation to small groups, with booksellers talking about their own lives and interests. Even though we all knew the storm was upon us, no one was in a hurry to leave. By the time everyone finally left, the snow was falling hard. I walked with the sales rep to his car, my little black shoes sloshing through the snow. It was beautiful outside, though the wind slapped hard against our bodies. We shook hands over a dinner that might not have happened, but instead, thanks to the strength of his relationships, was a memorable pleasure for all. Full and happy, I scythed through the wind down the block to my hotel. And then, for the first time in a week, I had a long conversation with my husband. And a long night’s sleep. And a leisurely breakfast, and light lunch. And a long call with my father. And another with my friend Anne. And another with my friend Marilyn. And a quiet, solitary day, when I didn’t take a walk or put on dress clothes or apply mascara. I just answered as many of those emails as I could and watched the snow fall outside my window. All the disappointment about the missed dinners faded. Instead, I was just pleased to be in that very moment, connecting with people by phone and computer. Yes, I was stranded in a hotel in a storm in Lansing. But I felt far from alone. Finally, at eight thirty, I headed down to the hotel restaurant for dinner. I hadn’t been out all day and let’s just say no one would mistake me for someone who was on a pre-sale book tour, or had even written a book. To use a word that my driver Yuri would know, I looked pretty much like a schlump. I walked into the restaurant. A cluster of women was standing about, and until a waitress appeared, I didn’t understand that most of the women were customers who had just finished their meal. But one of them, a dark-haired woman in a red sweater, was waiting to be seated. The waitress grabbed two menus, started making small talk to the red-sweatered woman and me, and began walking toward a table. I realized that, in the confusion of coming upon us with so many others around, she’d assumed we were dining companions. And so, in the time it took for us to walk over to a table, we’d become dining companions after all. Her name was Joleen, and she was staying in the hotel because there was an ice cream and fast food conference going on, and since she was planning to open an ice cream stand this summer, she was in the middle of getting the necessary certification. I told her why I was there, and she smiled and said she was the mother of several children, including three she’d adopted from foster care, and some of them had special needs. This was not the only overlap in our lives, we discovered as we talked. Our philosophy of life was similar, as was our diet; not only did we both order off the menu, but we ordered the exact same things: herbal tea, salad with oil and vinegar, pasta with sauteed vegetables. How do I keep finding kindred spirits on this trip? Is it just due to the openness many of us have when we travel? Or is there something else at play – the same mysterious something that made the writing of The Story of Beautiful Girl go so smoothly and easily? Joleen and I parted with a hug, and I thought that was the end of my Lansing adventure. But the next morning, I took advantage of my unexpected time to meet up with the friend of a friend. Originally my schedule had seemed far too packed for me to see Mary Jane Doerr, who has known my friend Denise since childhood. But when I reached Michigan, Denise sent an email, reminding me about Mary, and when the snow gave me the gift of time, I followed up. Mary is a writer whose book, Bay View, An American Idea, is a history of Bay View, a Chautauqua community in Northern Michigan. Mary is also a ski instructor who teaches at a place that provides instruction to, among others, children with disabilities. In mid-morning, Mary arrived at my hotel with Monica, a fellow ski instructor. For a few tea-fueled hours, we talked about writing and skiing. Then I remembered that Denise had urged me to visit the Michigan State Capitol, an architectural jewel built in 1879 and located right down the street from my hotel. So I asked Mary and Monica if they’d be my guides, and they quickly said yes. We drove over in the snow, made our way inside, walked around ornate corridors, across a glass floor, and into the grand rotunda. I looked up, up, up into the dizzying heights of the glass dome, where every hope, including true equality and justice for all, seems possible. And for a moment I felt like one of the characters in my book, who walks into the Pennsylvania State Capitol at a critical moment in her life, and looks up into the same kind of dome. And there, admiring the beauty and craft all around me, and the generosity of my new friends, I felt that the snow hadn’t been a monster after all. It had given me at least as much as it had taken away. We drove down the road into the bright afternoon, talking away. My life was back on schedule. My tour was back on track. But because I’d been forced to pause, the universe had served me a tray of the most delectable treats. I doubt I’ll ever decide whether the universe is run by luck or whim or the same mysterious something that creates novels out of nothing. What matters is that I hadn’t held myself back. I had tasted every treat that came my way, and I had found every one delicious. And I won’t lie. It has indeed been glamorous – and thrilling and fun and fascinating and delicious. But there are other things in life besides three-course meals and swank hotels with glorious views and booksellers who get starry-eyed when discussing everything from “Cutting For Stone” to “The Odyssey” and publicists, editors, and sales reps who can tell incredible, behind-the-scenes stories about some of the most famous books and authors in the world. There is, for instance, laundry. Let’s face it. If you live out of suitcases for two weeks, eventually you need to tend to the basics of life. I’d certainly packed enough to get me through that stretch of time. In fact, to accommodate everything, I hadn’t brought my usual travel pillow, and had instead been just fine sleeping on folded towels. (I find hotel pillows way too big and high for my relatively little head.) But halfway through my trip – as I was wrapping up City #3, San Francisco, and packing to head to the five cities I’d be visiting in the Midwest – I thought, Gee, fitness centers and free copies of the New York Times are great, but a washing machine would be greater. What do politicians do during campaigns? Movie stars during press junkets? Rock musicians during thirty-city tours? Do their handlers cart the bundles to the local laundromats? Do they taxi over to the Spin-’N-Dry themselves? Or do they do what I’m lucky enough to be able to do: contact friends I was planning to see anyway, and ask if I might please spend some time in their laundry room? And luck was with me. In my next stop, Ann Arbor, live not one but two friends from college. One would be picking me up from the airport Sunday evening, and the other seeing me Monday in the late morning. I contacted both in advance, and asked, a little shyly, if I could do my wash. Both immediately said yes, so when I bid goodbye to the West Coast and flew into my beloved Detroit Airport, I knew the second half of the trip would begin with my clothing – and hence me – renewed. Carol scooped me into a hug at baggage claim, and instantly as was as if we were at one of our college reunions, which is the only place where we’ve seen each other since we graduated from Bryn Mawr in 1981. Our hug, and the drive to her house in Ann Arbor, ushered in memories of all of those five-year markers, which she and I and a core group of maybe sixty other women have attended without fail since our final, tearful tradition of the Step Sing, when the seniors mournfully leave their coveted spot on the steps of Taylor Hall, and walk away from the other students, into the unknown future. Our non-stop chatting for the next several hours – about the books we’re reading, the events of the world, and the courses of our careers – also reminded us of the many fortuitous talks we’d had, in her dorm room and mine, during our undergraduate years. Carol, like me, happens to be a someone who can fall easily into conversation, and I wondered if the smallness of our college (our class was something like 330 people total) helped both of us cultivate this ability. It’s impossible to know, though I think the intimacy of the school is directly correlated to closeness I feel toward everyone in my class, even those I barely knew. We can see each other and immediately feel transported back to a bouncy seat on the Blue Bus or a corner of Thomas Great Hall during Coffee Hour or a slow-moving line at the Haverford Dining Center, where anyone might start talking about anything, and you knew the conversation would be lively and interesting. For the next few hours, my laundry churned and dried while Carol, her wonderful fiance Randy, and I talked around their kitchen table. Then Carol and I went out to dinner at a great vegetarian restaurant, Seva, where I was tempted by just about everything on the menu – yet the food was far less important than the conversation. Later, Carol brought me to my hotel, the Campus Inn, and we snapped a photo of ourselves in the mirror. The next morning I saw my other friend. Since my laundry was done, she and I went into town for brunch. But since she’s traveled a huge amountherself, some of it to places as far as India and Japan, she knew that there were other details travelers need to think about. “Do you need to stock up on some food?” Well, yes, I did, come to think of it. I always travel with apples (current favorite: Fugi), but my reserves were getting low. So we went across town to a great produce place and I got just what I needed. I returned to my room with just enough time to work out and take a shower before my next appointment, a meeting with folks from the local disability community. But no sooner had I walked into my room and reached for my headband and shorts than my cell phone rang. So forget the workout. I showered right away and ran down to her room. There she texted the home office, working out Plan B, then Plan C, then Plan D. Could she make it back to New York tonight, before the snow hit the East Coast? Yes. Could I get to Lansing tomorrow for my next dinner? Yes. Could I then go onto Chicago for the dinner after that? No. Milwaukee, after that? No. The folks planning the tour, being smart, cautious, wise, and efficient, decided to cancel those two cities. I would either go back to Ann Arbor after the Lansing dinner or stay in Lansing. Either way, I’d have two nights in a hotel that I wasn’t expecting. I realize some people get frustrated, annoyed, or upset when they have sudden changes in travel plans. But I’ve always viewed travel as a series of adventures, and just because my pre-sale tour was suddenly turning into an adventure I hadn’t been expecting didn’t mean it couldn’t be wonderful in its own way. You never know who you’ll meet or what you’ll do. Indeed, part of the inspiration for The Story of Beautiful Girl came when I had a few extra minutes before a ride from a talk to the airport, and I happened to see a particular book on a vendor’s table that I then bought, devoured, cried over, and remembered. And look what grew out of that. As my husband Hal once told me a Buddhist teacher told him, You never know where enlightenment can come from. Besides, it seemed the whole Ann Arbor leg of the trip was turning into one big reminder that I’m more than a writer racing around the country doing fancy, fabulous things. I’m also a person who needs (fresh) food, (clean) clothing, and shelter from blizzards. And here, in Ann Arbor, friends and my caring publisher were going to make sure I got all three. Knowing everything would be taken care of, I was able to go to my next appointment without a worry. So I hurried down to the lobby of the hotel, where I met with three prominent people in the Michigan disability community. Angela Martin is a sibling and the Community Specialist at the Developmental Disabilities Institute at Wayne State University in Detroit; Robin Sefton is the leading Michigan self-advocate and Vice President of the Michigan Developmental Disabilities Council; and Pat Carver, also a sibling, is a self-determination planning advocate and community connections consultant. We sat on comfy sofas and drank hot tea, and I learned that Michigan was one of the most progressive states in the country – in both policy and practice. As of last September, it had closed all its institutions. Not only is it the largest state to have done so, but it succeeded in this goal without shipping people off to other states. Angela, Robin, and Pat spoke with pride about their state, and the important role that Robin, in particular, had played. I felt lucky to be in their company. Then I was off to dinner with Deb. My previous dinners were formal affairs in private rooms, beginning with drinks at 6:30 PM. This time was more casual. Deb and I still went to a restaurant, the Pacific Rim, at 5:30 PM, and our table was in the regular dining area, tucked away in a corner. There were no pre-printed menus or name tags, no special server. Deb even brought her bags, since she was going back to the airport directly from the meal. I’ve loved the, well, glamor of the big, luxurious dinners, but I also loved this less formal approach. It made it easy to walk up to four major people from the corporate headquarters of Borders, say hello, and feel right at home as soon as I sat down. I’d wondered for weeks if they’d be wearing suits and looking serious. Borders is also going through a challenging time as a company, and I’d thought it possible that the people I met would be preoccupied with that. But they were bubbling with happiness – about my book, about several other titles they’d loved, about their friendships with each other. It was a wonderful, fun, upbeat group, and we fell into conversation as easily as I had with Carol, my other friend, and the disability advocates. I learned that there had been a recent infusion of financing that has alleviated the most pressing of Borders’ problems, but that was not the focus of our dinner. It was, instead, my book, other books, my life, their lives, and how much all of us love reading and stories and literature. When’s the last time you sat at a dinner table and heard, every five minutes, “You haven’t read this? You absolutely must.” And you pulled out a napkin and began a list, and by the time you finished dessert, it was long. That was what this dinner was like. Like being back at Bryn Mawr, where friends and strangers eagerly and happily talked about the written word. Where literature mattered more than almost anything you could think of. Where food was far less important than conversation. The dinner flew by. By the time my cab arrived to shuttle me back to the Campus Inn, I felt I’d made a tableful of new friends. And as I chatted with my cab driver – it was his first day on the job, he told me, after losing a position for an auto maker two years before, and he was loving it so far – I wondered what glamor really is. We tend to see it as red carpets and fine wines and opulent jewelry and lavish hotel rooms. And it is all that. But it’s also a friend who opens her washing machine door and another who helps you buy apples. And strangers who tell you how hard and successfully they’ve fought for people who need advocates. And booksellers who would practically sell their souls to keep selling books. And cab drivers who welcome passengers. And publishers who really, truly care. Or perhaps I have it wrong. Maybe that’s not glamor at all. Maybe it’s just what we all need, and deserve, to feel loved and wanted as an ordinary human being. And regardless of how high the snow might fall over the next few days and how much my plans might still change, I will cherish these two lovely days in Ann Arbor for giving so much that was so human to me. For all the traveling I’ve done, until last Thursday night I’d barely set foot in one of greatest cities in America, San Francisco. Five years ago, when I was on my way to Palo Alto, I took a hasty detour, jumping onto a BART train at the airport, dashing to meet a few acquaintances for a late lunch at Fisherman’s Wharf, hurrying back to the train, and renting a car to go on to my Palo Alto hotel. Even though I wasn’t in town long enough to see one day set, much less the next one rise, when I glanced into my rearview mirror, the city of hills and fog was beckoning me to return. I finally came back this past Thursday night. With the serendipities of Seattle still prominent in my mind, I wondered what might characterize this next leg of my pre-sale tour. I dawdled in the airport for a few hours, writing my previous blog while waiting out rush hour, so by the time I taxied into the city, it was too late for me to see much besides the highway, then the gritty streets of the Tenderloin District, and finally the lush lobby of the Hotel Monaco, into which the very attentive and personable staff immediately rolled my bags. I did stumble back outside after I unpacked, crossing Geary Street to pick up some fruit and yogurt in a convenience store, but I could just as easily have been anywhere. So despite waking into my own mental fog on Friday morning – San Francisco being City #3 on the tour, Friday being Day #5, and me needing sleep I couldn’t bring myself to slow down for – I immediately downed my green tea and flew out the door. To my delight, it was everything I’d longed to see since the Rice-A-Roni commercials clanged into my childhood consciousness forty years ago: grand views up slopes lined with eye-catching buildings, down streets so steep they could, were it not the tucked-away gardens, dog-walking pedestrians, parked cars, and fifty-degree weather, be mistaken for ski-jumps, and out to glorious bodies of water, adorned with ships and mountains and mist. Almost every house and apartment building had some attractive detail to feast upon, whether the structure was a hundred years old or of more recent vintage, positioned near the enormous Grace Cathedral or along the bustling streets of Chinatown, located on named streets that were for foot traffic only or roads that curved like happy snakes. Where I live in Delaware, the terrain is either flat or so gently sloped that one barely breaks a sweat. I couldn’t wait to venture up steep inclines and catch the kinds of views that we table-top dwellers never get a chance to see. For about fifteen minutes I followed the walking map the hotel had given to me, but after coasting along on a level sidewalk past theaters, small restaurants, an art gallery showcasing photographs of 1960’s rock stars, and a cluster of opulent chain stores, I soon realized the map was written for walking wimps. I turned up the first hill I passed, which was, unsurprisingly, at the very next intersection, and began my alpine climb. I was later to learn that in this city, the view is intimately tied into the cost of real estate, so the hilly areas where I walked for the next few hours are places of well-kept houses and meticulously cultivated gardens. Had I gone the other way from my hotel, into the lower lands, I might have entered the district with cheap one-night rentals which attracts people down on their luck. But as I burned off both my mind-fog and at least some of the calories I’ve been eating at these tasty bookseller dinners, I saw only a couple of people making their beds on the streets. I did, though, see residents ambling to work (what pronounced calves the women have! ), construction crews accustomed to working on a tilt, tourists hanging out of streetcars. And then there was me, thrilling in the sights – yet wishing, as I’d wished in Portland, then Seattle, that I were being accompanied by more than my plans for the day. If only my husband Hal were here, at my side, pointing out, architect that he is, the name for this kind of roof over here or that shaped building over there. Or maybe telling me what he knew about the rebuilding of the city after the great earthquake and fire of 1906. Or even not saying anything, just walking along, holding my hand. I’d thought of him in those other cities and wanted him there. But San Francisco somehow seemed more romantic – and all the more so because, with the time zone difference and conflicting commitments, we had yet to say more than a rushed hi on my cell phone a few nights ago, when I was in Portland – moments before the booksellers began to arrive for the dinner. So here in San Francisco, I just walked along with an Imaginary Hal, laughing at his silly jokes, smiling at whatever he pointed to, braiding together the world in front of me with the one I carried deep inside. I returned to the hotel just in time for my first real-world commitment of the day. Thanks to my friends at ANCOR, the American Network of Community Options and Resources, I’d connected a week ago with Dale Dutton, a parent who has spent the last several decades being very involved in the Bay area developmental disability community. It turned out that Dale had attended the Washington, DC screening of the movie Riding The Bus With My Sister, which was co-sponsored by ANCOR, and when he found out I was coming to San Francisco and was hoping to set up visits with people devoted to the civil rights of those with disabilities, he put together an itinerary for my day that couldn’t have been more perfect. First, he arranged for a colleague to come fetch me at my hotel. She arrived right on time, and walked me to the BART station where we caught a train to Oakland, where we were going to join an important Town Hall Meeting already in progress. On the way I learned that my guide, who was born and raised abroad, had never dreamed of moving to America. But on what she thought would be a brief trip to San Francisco, she met a man, fell madly in love, returned home, broke up with her boyfriend, and came back to marry her now-husband. Maybe my sense of San Francisco’s romantic allure was less specific to me than I’d thought. In Oakland, my guide led me into the State Building. Recently, the new governor, Jerry Brown, proposed severe cuts to the Department of Developmental Services, which serves a quarter million people like my siste, and the characters in my novel. The Town Hall Meeting was a way for legislators to hear directly from the public, and vice versa. After we made our way to our seats, I admired how packed the room was, as well as how diverse. There seemed to be at least as many people with disabilities as there were professionals. Some people with disabilities spoke at the microphone in the front, talking about the importance of their work programs. Some legislators spoke at their long table about their hope to keep services as strong as possible. The woman running the meeting, Rosio Smith, said that while everyone understood the need to get the budget under control, the fight needed to be for people with disabilities not to bear a disproportionate burden of reductions, as they already had over the last few years. I knew that these kinds of cuts would soon be coming across the country. And I wondered if town hall meetings in each state would be as well-attended as this one. If they weren’t, who would remind legislators about people like Beth, or my character Beautiful Girl? After the meeting, I met up with Dale, and his friendly eyes and warm handshake made me know that I’d been connected to the right person. Soon he was introducing me to people around the room—parents, providers, professionals involved with employment, and people with disabilities. Then he gathered several of these individuals together and we all walked a few blocks to a restaurant for lunch. There I got the chance to learn more about what each of my dining companions did, and I was deeply impressed. We talked about the cuts, and the upcoming battle over the closing of one of the state institutions. California, like the majority of states, still has many operating institutions, and every closing requires major effort and advocacy. Our lunch lingered pleasantly well into the afternoon, and by the time I got on BART to return to my hotel, I felt less alone. Even though Hal wasn’t here, I had been with people whose passion and purpose mirrored mine, and that can make almost anyone feel so much less alone. Back at the hotel, I did a quick check of the email – oh, another fifty had arrived; how will I ever catch up? – then showered, ironed, mascared. And with a perky wave into the mirror, I was on my way to my next bookseller dinner. This time, as in Seattle, the restaurant was located in my hotel. It was up a grand marble staircase, in the Peacock Room, and had a balcony that overlooked the bar below. I was greeted by the same sales rep who hosted me in Portland, and who, once again, set up name cards before the place settings, told me who was who, and tasted the wine to make a selection. The publisher had sent a different publicist, Jimmy (Evan had returned to New York the day before). Jimmy arrived shortly before the booksellers, looking far more alert than I would be if I’d just landed after a cross-continental flight. It was all feeling quite familiar, and when I combined that realization with the comfort I’d come to feel from my new friends at lunch, I felt fully at ease. Then it went much as the other dinners had gone. The booksellers arrived, drank wine, ate finger food. Most had read the book, and they immediately launched into how much they loved it. Some talked about how they’d read it – while sick in bed, one said, which was perfect because there were no interruptions. Others talked about how it overlapped with incidents in their own family. And almost all of them expressed surprise when I said I’d barely been in San Francisco before – because some key scenes in the book are set in their area. “How did you ever do that?” they asked. I smiled, remembering the friends in Delaware or Pennsylvania who’d talked me through a few details – and then the friend of a friend who lived in San Francisco, and who’d spent hours on the phone with me, walking me through maps and stories and details. His name was David, and we’d never met. We wouldn’t be meeting on this trip either, because my schedule was so packed. But his assistance had ensured the accuracy of the text. “I had some help,” I said, and left it at that. We sat. I did my little talk. We ate. We chatted. We ate some more. And then I asked if I could do a little more of a talk. I’d just gone to a Town Hall Meeting, I said, and I’d learned from my new friends in the disability community that there were critical issues afoot in California. The booksellers, now knowing much more than they had before reading my book, listened carefully. Then one of them said, “How can I get involved?” “Really?” I asked. “Really,” she said. I’d thought the people I’d met at lunch were completely separate from those I met at dinner. But the first group gave me information that mattered to the second. Two distinct parts of my life were stitching themselves together. I was sad to see the evening end. Fortunately, though, I still had one more day in the city. And I had no more commitments in San Francisco for my publisher. They were just for me. I’d recently learned about the documentary “Where’s Molly?” Made by the husband-wife team of Jeff and Cindy Daly, it tells the story of how Jeff’s sister Molly was suddenly sent away when they were children in the 1950s. No one in his family answered his question “Where’s Molly,” and eventually he realized he wasn’t supposed to ask it. At a high school reunion, he remet an old friend, Cindy. She asked, “Where’s Molly?” And he realized he needed to know. He and Cindy married, and tracked down Molly. She was living in a group home, and now, for the first time since he was a little boy, he has a sister again. Cindy and Jeff Daly live in the Bay area. So when I knew I was coming to town, I asked if we could get together. Jeff wasn’t going to be around but Cindy was, and she said yes. We arranged for her to come with a woman I’d met on Twitter, Annie Fox, who, among other things, writes about bullying and helps teens feel more self-aware and confident. So on Saturday, Cindy and Annie picked me up at my hotel. Having read my upcoming novel, The Story of Beautiful Girl, they knew the local landmarks I’d written about, though never seen. And they’d mapped out an afternoon where I was able to see, in real life, the sights I’d seen only in my mind. Because The Story of Beautiful Girl doesn’t come out until May 4, I hesitate to say much about what they showed me, or the role each setting plays in the book. But I will include some of the pictures we took. And for those who find the book in their hands as they read this blog post, I will say that these sights are referred to on pages 218-220. We had a grand time, driving around the city, talking about Twitter and bullies, the documentary and Molly, and the fact that people like my imagined characters can easily be found in reality. Finally, I returned to my hotel. I was tired, yes, and also rushed. I had a million things to do, including pack for an early flight the next morning. But when I got back to my room, I felt that ache of loneliness again. Hal had not been with me. He would have loved to have seen what I saw, and I would have loved having him there. Instead I could only hope to connect with him tomorrow, before my 8:45 AM flight to the Midwest. And then, just as I was done with the packing, I heard from David. The David who’d guided me around San Francisco over the phone. The David who’d brought his knowledge into my book. The David I’d never met and didn’t think I’d have a chance to meet. “Yes!” I said, deciding everything else could wait until morning. So I sat with generous, fun David in the bar, and we talked and laughed and had a great visit. And I thought how the distinct parts of my life kept stitching together. People passionate about the lives of those with disabilities and people passionate about books. People who tell me about a place and people who show me the place. People who guide me around so I can guide my pen more effectively. I returned to my room and got ready for bed. In six days, I’ll be home again, and Hal will once more be at my side. Until then, I will still have Imaginary Hal with me – and the people I keep meeting, and the friends I keep making. They are not just keeping me company, but sharing what matters: books and Town Hall Meetings and sisters who are found and children who cope with bullies. They are reminders to me that everything we long for might someday, in some way, become a reality. I was walking briskly down 6th Ave. in Seattle early this morning, on my way to my first public appearance for my upcoming novel, when I hit a perplexing intersection. From the map I’d received at the front desk at the Vintage Park Hotel, I knew I was supposed to stay on 6th Ave. until it crossed with Thomas. I also knew that the usually straight 6th Ave. bent a few times. And now, standing at the first of those bends, I was so confused by the odd angles at which the streets met and the way the signs bore little resemblance to the direction of the streets they were identifying, I stopped dead in my tracks. Fortunately, the light was red, and in Seattle, unlike in the Northeast, where I’m from, pedestrians don’t just sashay across streets whenever the traffic diminishes. One waits at red lights, and as I was waiting, completely unsure of how to proceed once the light turned green, I glanced at a tall, bearded man who was approaching the intersection. He smiled, apparently understanding my confusion. Behind his salt-and-pepper whiskers he had a face that was equal parts amused and sad. At that moment the light turned green. “Just go this way,” he said, stepping into the intersection beside me. We crossed the tangle of roads, and he said, “You’re from New York.” It was more of a statement than a question. I explained that I was a writer and that my publisher was sending me around the country on a pre-sale book tour, so I could have a series of private meetings with booksellers to talk to them about my book. I added that I’d set up as many extra events as I could possibly schedule with people in the disability community in each city, and I was on my way to one of them now, a reading and informal discussion at The Arc of King County. Then he stopped and said he was turning here. I asked his name – Lon Elmer, he said. He made sure I knew where I was going – “toward the Space Needle, though don’t waste your time going there.” We wished each other well, and continued on our separate ways, and, although I didn’t wholeheartedly embrace his statement about coincidences, I did marvel at how perfectly this encounter fit the Seattle leg of this trip. It began shortly after a cab ride to the Portland airport, where Evan, my publicist at Grand Central Publishing, and I were scheduled to catch a plane to Seattle. We got to the gate, settled into our seats – and learned that the flight had been canceled. Had I been traveling alone, I would simply have asked to take a later flight. But Evan, having access to the home office in New York and his extremely efficient assistant, said, “Let’s rent a car.” And then he added the words I always use myself whenever I hit some traveling snafu: “It’ll be an adventure.” Arrangements were made, and soon we were climbing into a gigantic vehicle, putting our Seattle destination into the GPS, and heading north to Seattle. I’ve spent a lot of time in cars driving between speaking engagements, and I always enjoy the long, meandering conversations that can ensue. So I made the most of this unexpected opportunity, as did Evan, and we had a fun, lively, interesting, entertaining conversation for the next three hours – about life, love, and publishing. And incredibly, this all played out on one of the sunniest and warmest days that Northwest had had in ages. We could see far and wide, and when Mt. Rainier came into view, its snow-capped top was completely unobstructed by clouds. So I called, and twenty minutes later, Pam was at my hotel door. We were both so excited – about her recent writing successes, about the fact that I was in town for such a rare and thrilling publishing experience, and about the magical good fortune of our being able to have two hours together – that she said, “Can we just hug each other and scream?” “Yes!” I said, and we threw our arms around each other, and screamed with joy. Then we zipped outside to get in a brief walk on such a beautiful day. She informed me that the strange building across the street from my hotel was the internationally famous Seattle Public Library, which was designed by one of the most prominent living architects, Rem Koolhaas. I took a quick photo of her there, and promised myself I had to get inside the building, even though I would barely have the time the next day. I certainly didn’t have the time now; Pam wanted to walk me to Elliott Bay, several blocks downhill from my hotel. We went out on a dock and talked about writing and revision, and poetry and plays, and how to deepen a character, and how to decide when a work is actually done. We talked too about grief, and the role it plays in our lives, and the lives of people we write about. After a cup of tea – yes, in a Starbucks (they are literally on every corner in that part of town) – we sadly said goodbye, and five minutes later, I was walking into a private room in Tulio Ristorante, the hotel restaurant which had been reserved for my next bookseller dinner. As in Portland, the sales rep had taken great care to create an inviting atmosphere. She’d displayed copies of my galley in a wall unit, alongside bottles of wine. She’d printed a beautiful menu with The Story of Beautiful Girl across the top. And she held my hand and said, “I just finished your book and I loved it,” and her eyes glistened with tears. Then the booksellers arrived – from Elliott Bay Books, the Third Place, and the University Bookstore. I had realized after the dinner in Portland that I wanted to know a lot more about the booksellers’ stores, and lives, so as I chatted with the Seattle booksellers over finger food, I got to know each person much more specifically than I had in Portland. I regretted that I hadn’t thought about this until my second dinner, but was glad it hadn’t taken me until my eighth. And I learned that one had just studied scuba diving for two weeks. Another had spent three summers cooking meals for a hostel in Alaska. Another had been a teacher, for, it turned out, students with disabilities. And one had asked to attend the dinner because she was a big fan of my last book, The House On Teacher’s Lane. By the time we sat down to eat, I felt relaxed. Indeed, I hadn’t realized how self-conscious I’d felt in Portland until I felt so much more at ease in Seattle. Was this the result of Portland being my first dinner on the tour, Seattle the second? Was it the result of having had a fabulous day with Pam and Evan? Or was I just feeling less like someone who had to be On, and more like a person who was simply enjoying the evening? Again, I spoke about the book, and the booksellers asked questions. Again, questions were phrased carefully so the many who’d finished the book didn’t spoil anything for the few who hadn’t. This time, I also felt more comfortable referring to my sister Beth, quoting her frequently. Because she’s so cheerful and spirited, these moments added a lot of levity to the discussion – and they also made me feel all the more at home. By the time the evening drew to a close, the room was so full of warm feelings that goodbyes were sealed with hugs. And that would have been it for Seattle…were I someone else. But as readers of the first post about my pre-sale tour know (and as they read in the first post from Portland), I’d reached out to people in the disability community to see if anyone wanted to meet up with me. And in Seattle, the person who responded was Sylvia Fuerstenburg, the Executive Director of The Arc of King County. She asked if I’d come to their offices the morning after my bookseller dinner to talk about The Story of Beautiful Girl. I said yes, absolutely. To my surprise and pleasure, a friend of mine who lives about an hour away, Raphielle Chynoweth, found out about my being in Seattle. She managed to get the day off from work so she could attend the event with me. This was the event I was walking to when I encountered the writer who helped me traverse the intersection of bent roads. I’d hadn’t prepared what I’d say to the room of people who showed up for my discussion. But it seemed I hadn’t needed to; I’d been getting enough practice at my bookseller dinners, and anyway, the people in the room already knew individuals like my sister, and Beautiful Girl, and the love of her life, Homan. In fact, they knew those individuals so well, some of them waited until after I was done speaking to show me a photo of a woman, Cathy, who’d lived a life very similar to Beautiful Girl’s. She had passed away unexpectedly only a week ago – just at the time when Sylvia Fuerstenberg heard from me. And I understood, as one person in particular welled up, that my book gave her something – possibly hope or strength, possibly an affirmation of her love – that meant a great deal to her at this sad time. Then Raphielle and I went back to my hotel. I asked if she might have any interest in going to the Seattle Public Library – and she said, “Yes!” She’d been wanting to see if for the last month, and this was her chance. So we ran over to the Seattle Public Library. There we wandered beneath sloped ceilings, up yellow escalators, along slanted floors. It was artistic and dreamy and complicated, and once we lost our way and weren’t sure how to get out. But we were with each other, and so we had faith we’d find our way. She brought me to the airport after lunch. And after we’d said our goodbyes, and I’d made my way through security, I came upon a glorious work of glass art. I thought about the glass installation I saw in the Philadelphia Airport when I left for this trip a few days ago, and how it seemed, in some way, like a wonderful omen. And now I was getting another. Happy with this thought, I got onto the plane for my flight to my next dinner, in San Francisco, exhausted but too pleased to care. As I settled into writing this blog post, I happened to glance at the person beside me. He was a man about my age, reading a novel by Jonathan Letham. I made a casual comment about always wanting to read Letham, and he made a casual comment about being in the book business. “I’m a sales rep,” he replied. Coincidence? Certainly. Serendipity? Absolutely. Does it mean anything? I don’t know. I thought, when I’d gotten ready for this pre-sale tour, that I’d be on a busy trip that was all about business. But it turns out that it’s also been about something else. Sometimes you find just the person you need at just the right time. And when they give you something you need – an adventure, a dreamy walk, a screaming hug, a path that transcends all that’s bent and confusing – or you give it to them, for just that moment, the world seems brighter, and you, no matter how long or hard your grief, feel a little better. It’s like being in Seattle in the middle of the winter – and waking up to a beautifully sunny day.